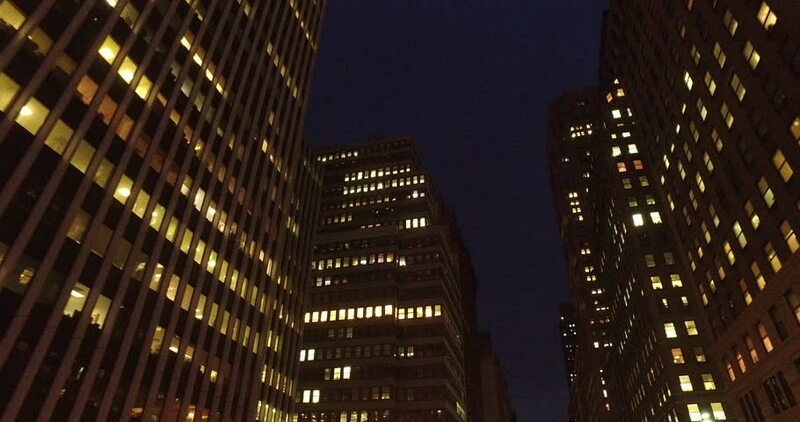 hd00:10A night view of several generic skyscrapers on the island of Manhattan, a borough in New York City, USA. 4k00:41Wide night timelapse of residential windows in Shenzhen. Evening time lapse of apartments with people living in China. Modern life massive apartment buildings in downtown. 4k00:09New York City, USA - 01.11.2018: Pan Right on city buildings in the evening time.